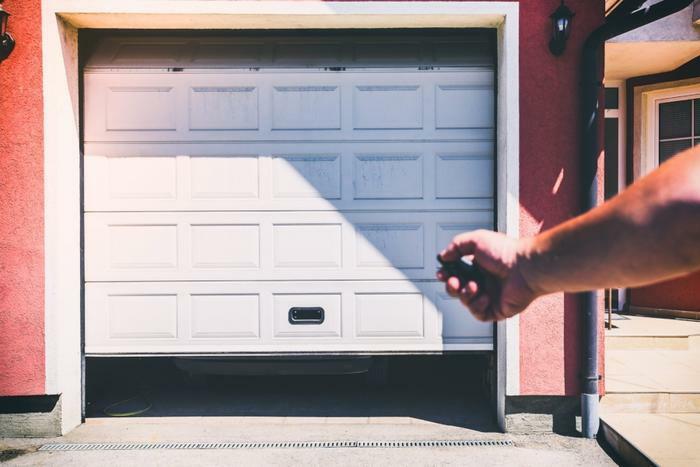 A new law takes effect July 1 in California which makes it more expensive for homeowners to install or replace garage door openers. The new law, signed last September, requires newly sold or installed garage door openers in residential applications to have a battery backup. The law was enacted in the wake of a series of deadly fires in the state. According to the California Real Estate Inspection Association, the loss of electricity in neighborhoods affected by the fast-spreading fires made it difficult for some people to escape. In some cases, residents were not able to flee in their vehicles, which were behind closed doors in a garage. At least 44 deaths and 192 severe injuries were attributed to the series of wildfires that burned nearly a quarter of a million acres in 2017. There were even more serious fires the following year. Garage door openers have a manual release, disengaging it from the powertrain. However, the Association says there were reports of neighbors stopping to help raise garage doors for elderly people who didn't have the strength to manually open their garage door, and a mother who struggled to get her disabled son into a car because their custom van was in the garage they couldn't open. In the end, the fact that the garage door could not be easily opened was blamed for some of the wildfire deaths. The new law will require homeowners who install an automatic garage door opener that is “manufactured for sale, sold, offered for sale, or installed in a residence” to have a battery backup system that can operate the door in the event of an electricity outage. Failing to comply with the law would result in a $1,000 fine. Last year, the California legislature passed a law requiring new homes built in the state to be equipped with solar panels. The California Energy Commission estimated that the move would drive up housing costs by $10,000, but it said that the decision will eventually save consumers in the form of reduced energy bills. Builders had initially criticized the measure but were reportedly on board with the final rules after regulators agreed on Wednesday to a series of exemptions -- including one for houses with roofs too small to support solar installations. That new law takes effect in January. If your garage door opener is beeping every 30 seconds, you most likely need to replace the backup battery in your automatic opener. Backup batteries open and close your garage door when the power is out and last 2-3 years under normal use. The Battery Backup can be easily installed by either an Overhead Door™ Distributor or the homeowner. The unit is equipped with an 8-AMP, sealed lead-acid battery (SLA) from Interstate, one of the nation’s largest battery replacement companies, reaches full charge within 48 hours and has front facing LEDs that indicate charge status. Integrated Battery Backup Units Genie offers several garage door openers that can come equipped with integrated battery backup units, including the StealthDrive® 750 and 750 Plus, as well as the Chain Drive 750. The battery backups on these units are attached by a plastic housing unit that sits on the back side of the garage door opener motorhead.